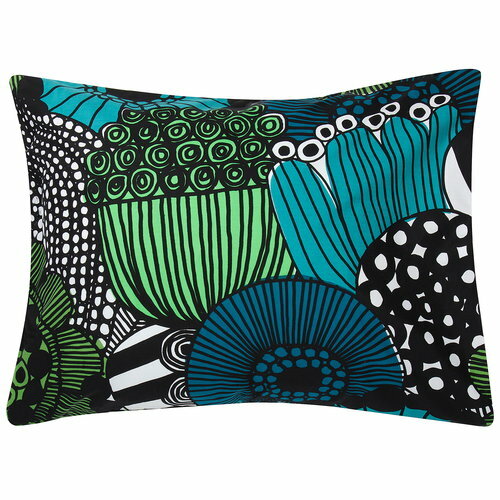 Marimekko’s Siirtolapuutarha pillowcase features Maija Louekari’s cheerful pattern that depicts beautiful summer flowers growing in allotment gardens. 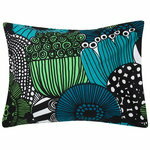 Made of 100% cotton, the black-white-green pillowcase measures 50 x 60 cm. 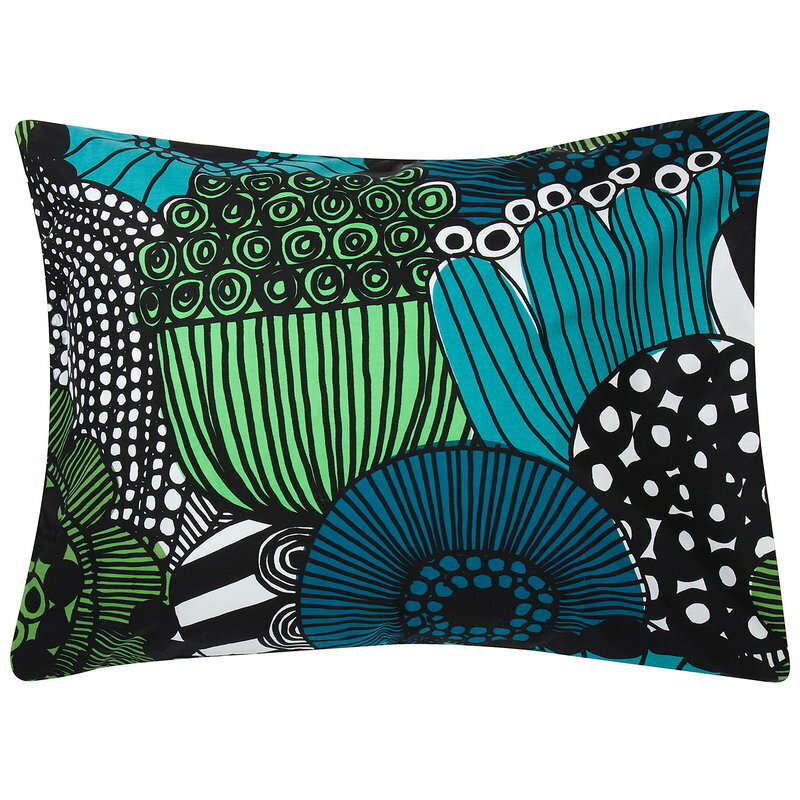 Combine the pillowcase with Marimekko’s Siirtolapuutarha duvet cover.